Two people have been arrested after controversial protests in Melbourne's CBD. 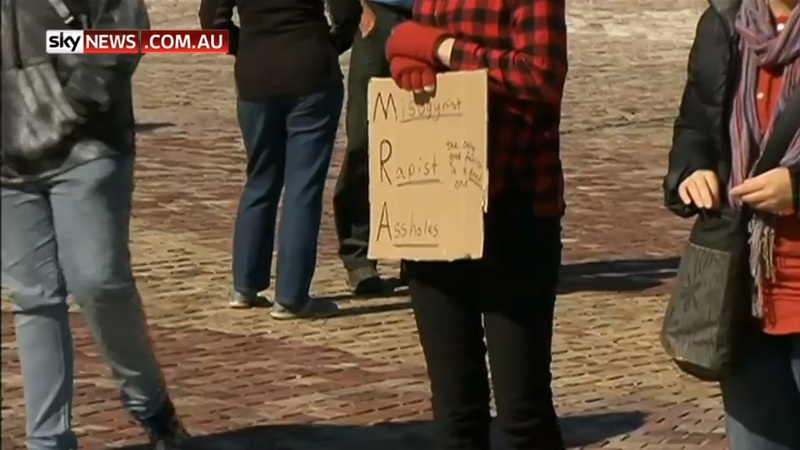 Conflict broke out at the 'march for men' protest between those advocating for men's rights and counter-protestors standing against fascism and racism. A 25-year-old man was arrested over willful damage, and a 33-year-old man was arrested for riotous behaviour. Police deployed around 150 officers to the event, but say that overall most people were well behaved.